This is a vegetarian riff on one of my favorite chicken taco recipes. I first made these tacos while living in my on-campus college apartment and have loved them ever since! 2. Add black beans to the hot pan and smash them slightly with the back of a spoon (you want a mix of whole and smashed beans). 3. 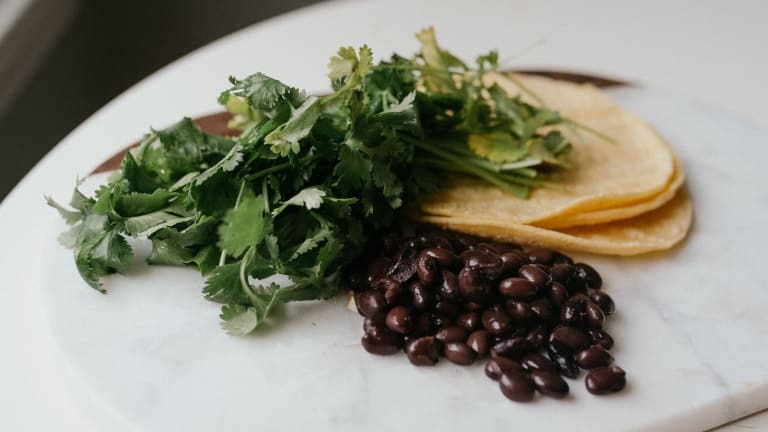 When beans are warm, add salsa, cilantro, and salt to taste. Serve bean mixture in warmed tortillas or taco shells and with toppings of your choice.